January 14, 2019, 5:01 p.m. Tomorrow the Commons votes on the Government’s Brexit deal, another pivotal moment in the lengthy process kicked off by the 2016 referendum. The vote has already been put back once and is expected to face heavy defeat. Where does public opinion stand? 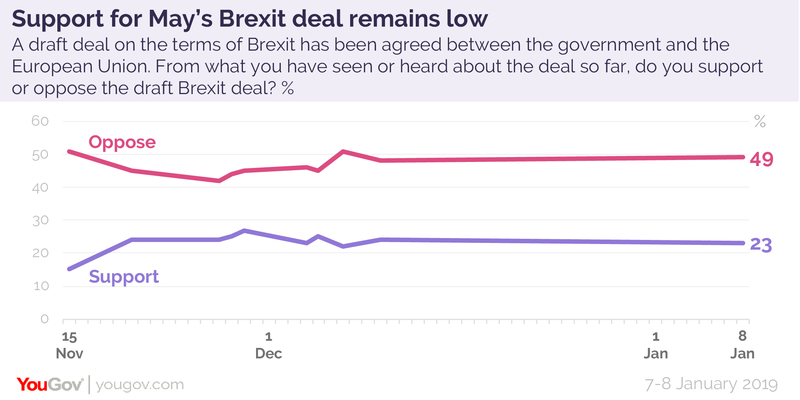 We’ve detected no softening in the public’s opposition to the Government&apos;s Brexit deal. A quarter (23%) of people now support the proposal, but twice as many (49%) oppose it. These figures are little changed from the end of last year despite the PM’s tireless efforts to sell it to the public and MPs. Overall, 41% of people now think it was right for Britain to vote Leave, while 47% believe it was the wrong decision – but this does not necessarily translate into support for stopping the process. Asked what we should do next, 28% of people want to stop Brexit entirely, while 8% would hold a second referendum to decide matters. Only 15% think Britain should accept the deal and move on, while another 9% would like to reject the deal and seek to re-open negotiations. Just over a fifth (22%) would leave with No Deal. 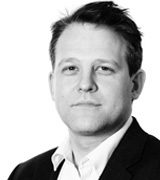 Recent discussions focus on four possible outcomes: leaving with May’s deal, leaving with No Deal, an alternative "Norway-style" deal or Britain remaining in the EU after a second referendum. Putting aside first preferences, we asked people whether they thought each of these would be good, bad or an "acceptable" compromise. We also asked if each option would respect the referendum outcome, and whether it would unite or divide Britons. Half (52%) of people think leaving the EU with No Deal would be a bad outcome. Just 17% see it as a good result, and 15% as an acceptable compromise. Just four in ten (43%) think that it would respect the outcome of the first referendum. Only 15% think that No Deal would help bring the country together, and around half (47%) believe it would leave the country more divided. The Government&apos;s deal has very few fans - just 12% think it would be a good outcome. 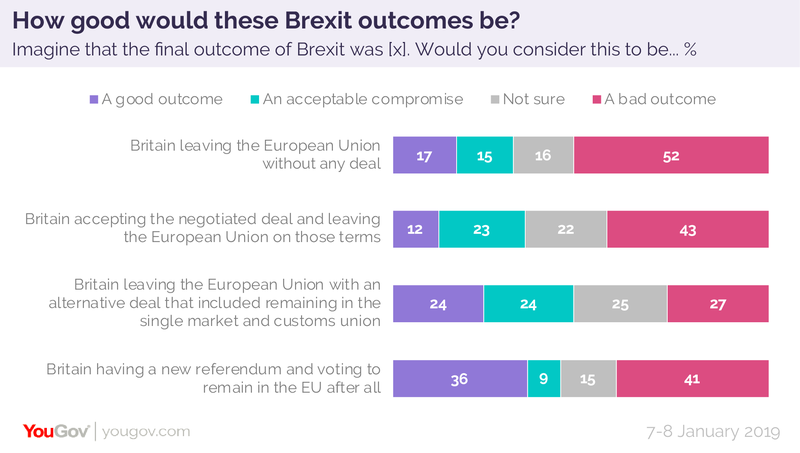 But it’s also viewed less negatively than No Deal, as just 43% think it would be a negative outcome, and 23% an acceptable compromise. By 37% to 33%, people do not think it delivers on the referendum. Four in ten (40%) think it would divide the country further, and only one in ten (11%) think it would help unite it. A Norway type deal rates more positively. A quarter (24%) think it would be a good outcome, 24% an acceptable one and 27% bad (the lowest “bad” figure of the four options). However, by 40% to 28% it is not been seen as respecting the referendum. One in five (18%) think it would help bring the country together, and a third (32%) that it would make us more divided. A new referendum that led to Britain remaining in the EU would please the highest proportion of people (36%) but even more (41%) would see it as a bad outcome. One in five (18%) people think it would help reunite the country, but 49% think it would divide us more. In sobering summary, none of the options are viewed positively by more people than negatively. None of them are viewed by a majority as delivering on the referendum by a majority. And every outcome is seen as more likely to further divide the UK than unite it. Some suggest Government had hoped the risk of No Deal would force support for the deal on the table. But while No Deal is an unpopular option, it doesn&apos;t necessarily seem as intimidating as expected. Part of this appears to be a lack of understanding - only 56% of people realise that "No Deal" means exactly that, leaving the European Union without any deal at all. Strangely, 26% think it that it actually includes a deal, to ensure a smooth transition or a formal transition period. While 49% say they would be worried by a No Deal Brexit, these are overwhelmingly Remain voters - 38% of the public as a whole, and 70% of Leave voters the idea doesn’t worry them. 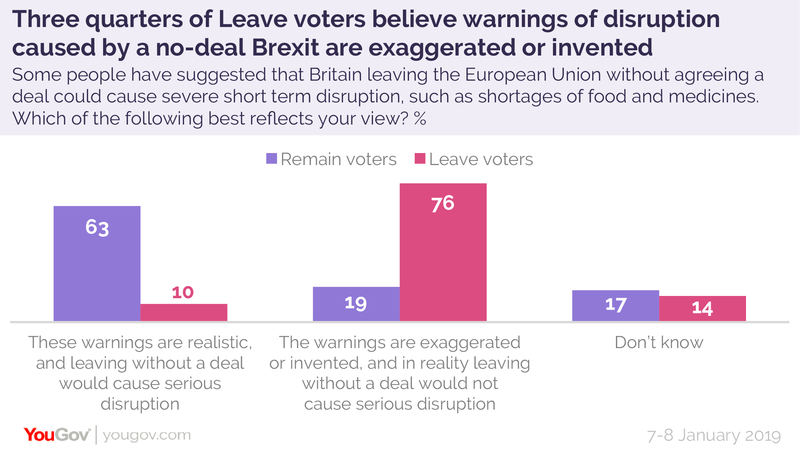 Three quarters (76%) of Leave voters think warnings of No Deal disruption are exaggerated or entirely invented. Put simply, Leave voters did not believe warnings about the damage Brexit could cause in 2016, and don&apos;t believe them now. This poll revealed that 36% of people support the principle of a new referendum, and that 49% oppose it. 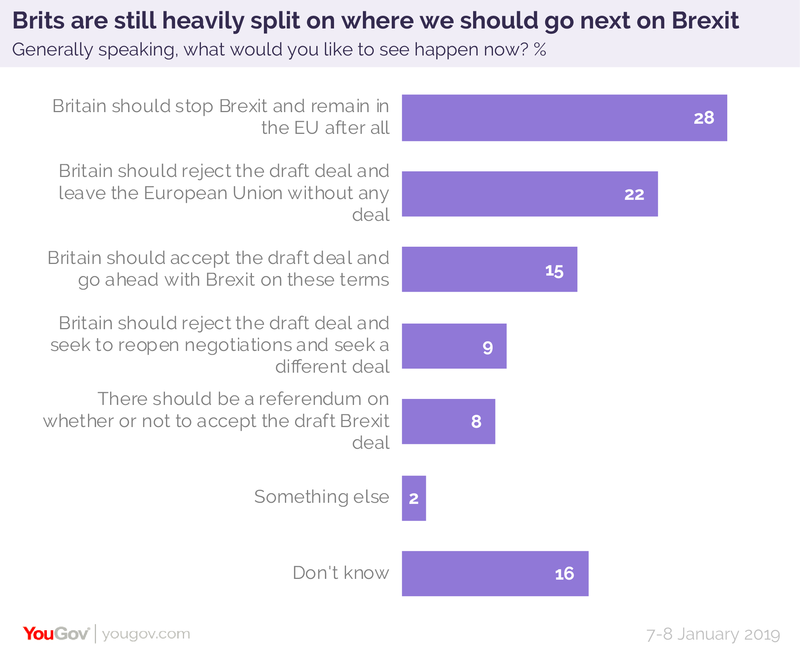 Other polls asking whether there should be a referendum specifically on the deal, or asked the same question in the context of Parliament already having rejected the deal, have shown higher levels of support. 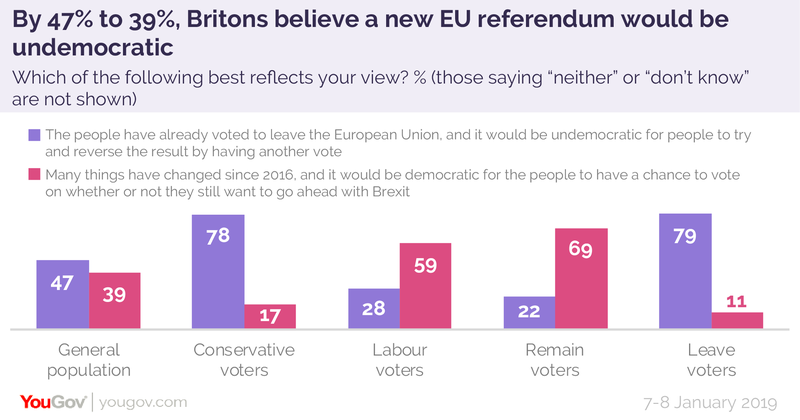 On the face of it, a referendum does at least offer a clear way to settle the issue and, as we&apos;ve seen above, a referendum that lead to Britain remaining in the EU is the outcome that the highest proportion of people would see as "good". The argument against is it often put in terms of democracy - would it be seen as undemocratic if a further referendum was conducted to reverse the result of the 2016 referendum? We asked people whether it would be undemocratic to hold a second referendum, and 47% said it would, while 39% thought it would be right to ask again given how much has changed. As you might expect, the vote split heavily down Brexit lines - 69% of Remainers think a people&apos;s vote would be democratic, while 79% of Leave voters think it would not.